A formidable-looking amphibious all-terrain vehicle was tested on Wednesday in Russia’s Chelyabinsk Region. 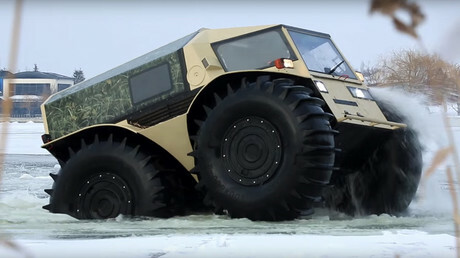 The massive truck is designed to cross the extreme terrain of Siberia and the Russian North, and can even float. 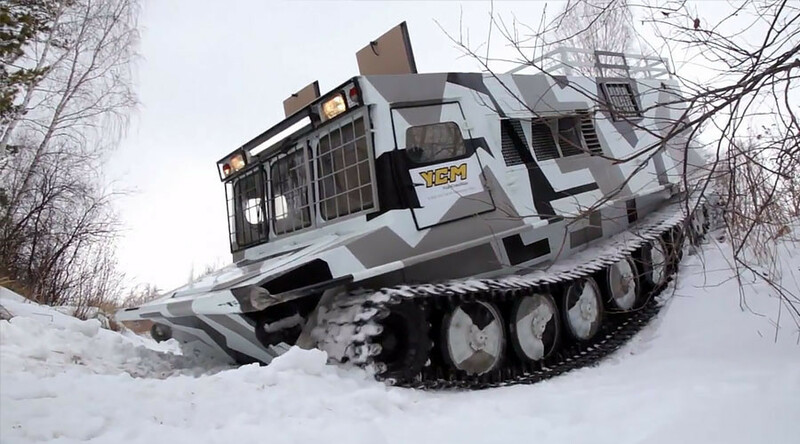 The TGM-126, which combines the functions of a civilian vehicle with that of an extreme off-road truck, is designed and produced exclusively by Ural Spets Mash. Despite its massive size and weight, the vehicle is able to navigate through swamps and carry up to 10 passengers across unstable ground. Another version of the vehicle, the TGM-126-2, is already available for civilian use.